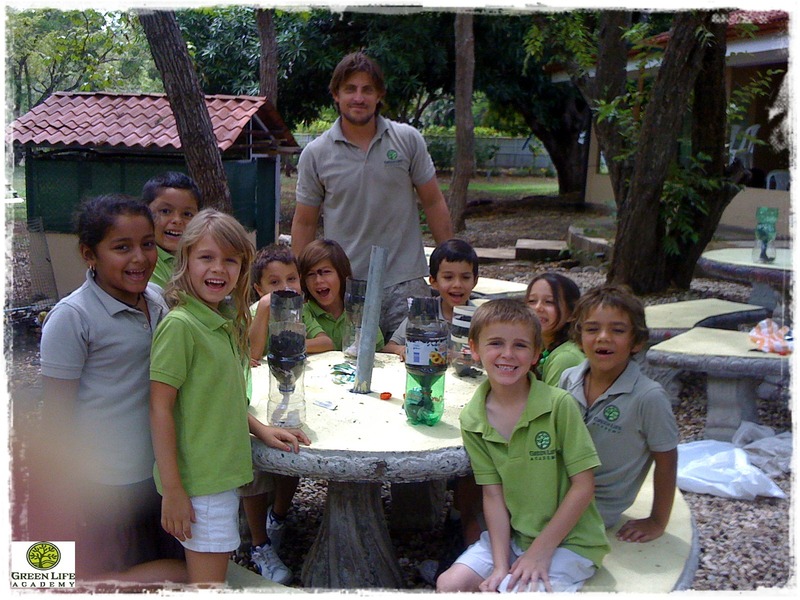 Last Week the students at Green Life Academy built self watering planters using old 2 liter bottles. These sub-irrigation (aka “self-watering”) planters are better than any pot you can buy…and they’re free. A mix of cilantro, basil, chilies, chery tomatoes and mustard were planted. The system works by constantly wicking water up a piece of fabric and into the soil. 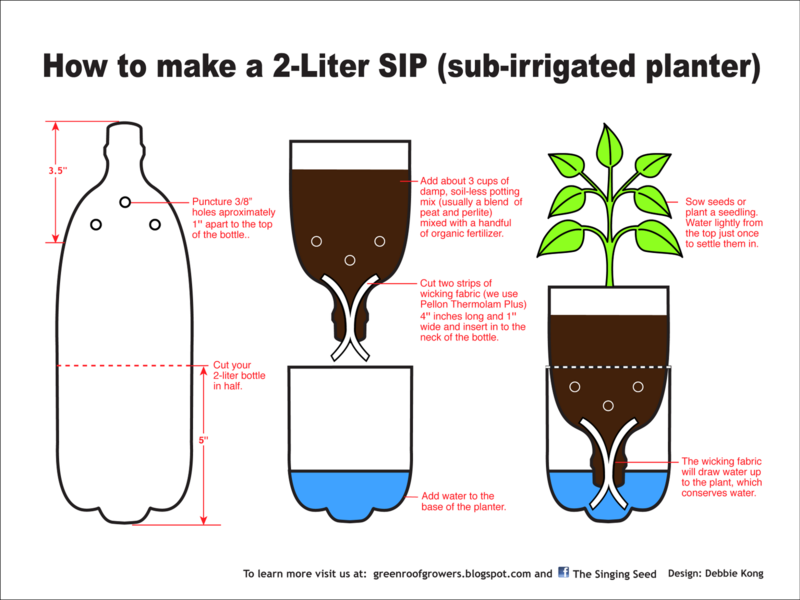 This is also an excellent way to keep your plants watered during the hot hot Guanacaste dry season. Within 2 days, the first spouts appeared. We can’t wait to see how well these tasty plants grow! Check out the gallery below to see the project. Looks like it was a fun project! Kudos! Be sure to send home some basil with Laila! Time for some bruschetta! You are the man Thad. Consider this idea stolen.